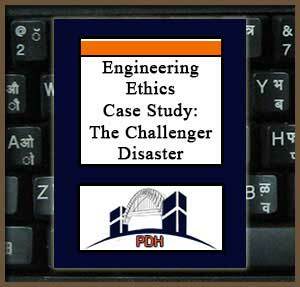 This course provides instruction in engineering ethics through a case study of the Space Shuttle Challenger disaster. The course begins by presenting the minimum technical details needed to understand the physical cause of the Shuttle failure. The disaster itself is chronicled through NASA photographs. Next the decision-making process—especially the discussions occurring during the teleconference held on the evening before the launch—is described. Direct quotations from engineers interviewed after the disaster are frequently used to illustrate the ambiguities of the data and the pressures that the decision-makers faced in the period preceding the launch. The course culminates in an extended treatment of six ethical issues raised by Challenger.